Specialist Courses Now Available – 100% free and 100% online! The Scaffold Inspection and Site Audit courses have been designed as a detailed overview to each job role, perfect as an introduction or knowledge refresher. Both courses are 100% free, 100% online and ready to start right now! You can start either course now online, view our whole course library, or scroll down for an overview of the course description and learning outcomes. 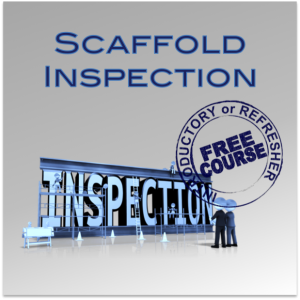 This course has been designed as a Scaffold Inspection overview, perfect for those looking for introductory or refresher training. It aims to provide skills development to those seeking awareness levels of scaffold types, functions, capacities and limitations, in order to assess site scaffolding practices. Due to the potential dangers associated with construction work, only appropriately qualified workers should undertake scaffold inspections. Clarify and confirm work order with appropriate personnel. Read and interpret: instructions, work orders, report faults and respond appropriately. Comply with legislation, regulations, standards, codes of practice and established safe practices and procedures for performing scaffold inspections. Efficiently and safely perform scaffold inspection operations. Calculate rated capacity and working load limits. Evaluate relevant tools, machinery and equipment. Verify problems and equipment faults. Created in conjunction with the Victorian Volume Home Builders Safety Alliance (VVHBSA), the Site Audit course covers the more common solutions used in the domestic housing construction industry, and provides guidance to meet the minimum site safety guidelines as determined by the included site inspection checklist. Read and interpret instructions and work orders, report faults and respond appropriately. Comply with legislation, regulations, standards, codes of practice and established safe practices and procedures for performing Dogging operations. 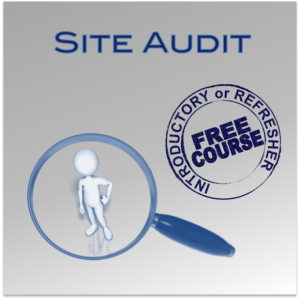 Efficiently and safely perform site audits in accordance with regulations. Use and maintain relevant tools, machinery and equipment.